Reduce time and paper while streamlining the process of getting informational packets to city council members before each meeting. Provide a way for citizens in the audience & council members to see agendas, presentations and other visual aids during meetings. Provide a way for citizens to attend the meetings without having to drive to City Hall. 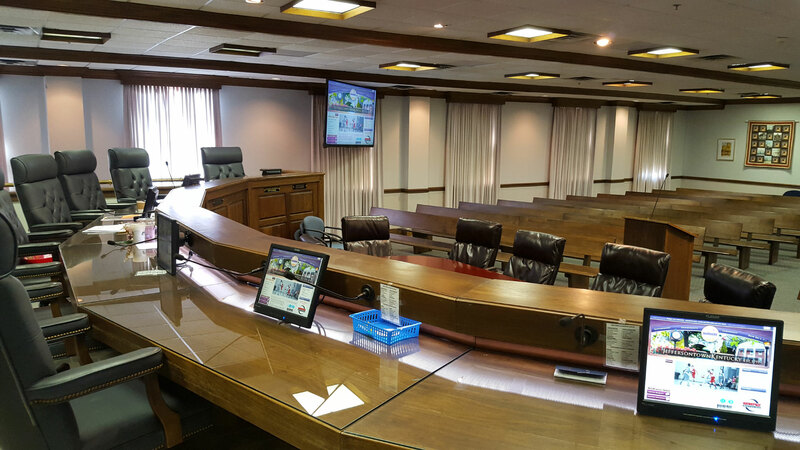 First, our team installed a webcam that can stream live City Council meetings to an Internet site for remote viewing. The website also now records and archives each meeting for later viewing. Next, we implemented an electronic system for creating and emailing documents (informational packets) that were previously printed and delivered each month. This reduced the cost of printing and allowed for quicker, less expensive delivery to each council member. Council members were also provided with tablets that can receive, view and make notes on the new electronic documents. 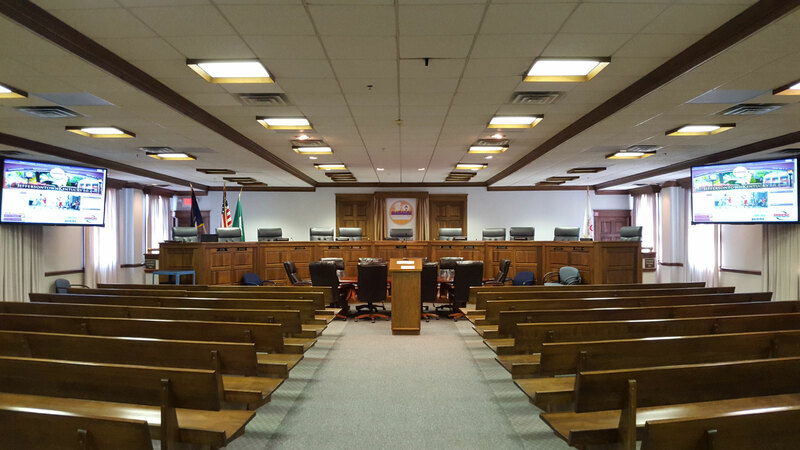 The final step consisted of installing two 80” monitors that now face the audience, as well as seven 15” monitors that face the council. All of the monitors display the same image from a central controller which allows everyone in attendance to see the information live. We also included an input to the central controller that allows presenters to connect and display their presentations to all monitors. Throughout this project, were were able to utilize two of our three Technology Plus departments. Our I.T. department designed the computer/controller system that allows multiple-screen displays. The same team also designed the wireless network so that it extends into the council chambers to be accessible by guests while still maintaining the security of the local network resources. Our I.T. department worked closely with our cabling department to ensure the correct cables were installed for the connectivity of all devices. The cabling department also installed the monitors, webcam, wireless and other devices that were mounted to the walls, ceilings and into existing casework. Having the expertise within these two departments to design, procure, install and integrate this solution is what makes Technology Plus an all-inclusive solution provider.